Nascar Sprint Cup race, The Sylvania 300, from New Hampshire Motor Speedway in Loudon NH. The September 20th race was the first race of the Chase for the Sprint Cup Championship. Mark Martin, driver of the #5 Kelloggs/Carquest Chevrolet went on to win the race. 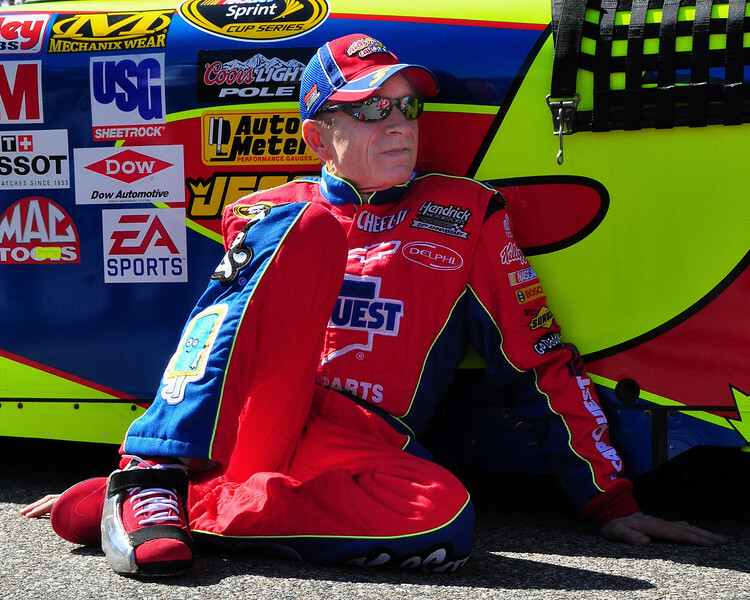 Mark Martin, driver of the #5 Kelloggs/Carquest Chevrolet, relaxes prior to the start of the Sylvania 300 Nascar Sprint Cup race in Loudon, NH, on September 20th, 2009. Mr Martin went on to win the event, which was also the first race of the Chase for the Sprint Cup Championship.